For the second and final installment to our “Saigon Session” mini-series we follow Vietnam Craft Bia as they wrap up an ongoing search to find four more of Saigon’s most drinkable craft beers. Whether you are new to craft beer and looking for a soft start or a seasoned vet prepping for a full-on session, we have it covered. Vietnam Craft Bia guides the group to BiaCraft Artisan Ales, East West Brewing Co., Te Te Beer, and Pasteur Street Brewing Company to get an idea of what to drink first. What we were given was a unique mix of locally-produced craft beer styles including a summer ale, a raspberry fruit beer, a Belgian wit, and a passion fruit wheat. BiaCraft Artisan Ales has something on their menu for everyone. From the highly-sessionable summer ale to a hop walloping triple IPA and a hoard of international craft imports, BiaCraft Artisan Ales has put together the largest and most diverse selection of beer in the city. Kick off your weekend night with Biacraft’s F*ckin’ Liar Summer Ale, made using light and subtle flavors. If it’s your first stop on a long night out or you’re just breaking into craft beer, kicking off your session with the F*ckin’ Liar Summer Ale is a smart choice. With just 4.2% ABV and 19 IBUs, it’s lower than average in strength and satisfies a wide range of taste preferences. This summer ale is intentionally light with a crisp finish. The flavor is far from overwhelming, yet subtly enhanced by a gentle addition of buddha hand citron zest and a touch of Indian spice. Next, we stop by East West Brewing Co. The brand represents a range of international craft beer styles incorporating European and modern American brewing techniques with an Asian touch. They source their ingredients from Vietnam and across the world in order to produce some of the city’s most popular craft beer recipes. After an easy kick-off with the summer ale, the Saigon Rosé was a gentle change of pace. Cleanse your palate with East West’s raspberry-infused Saigon Rosé. 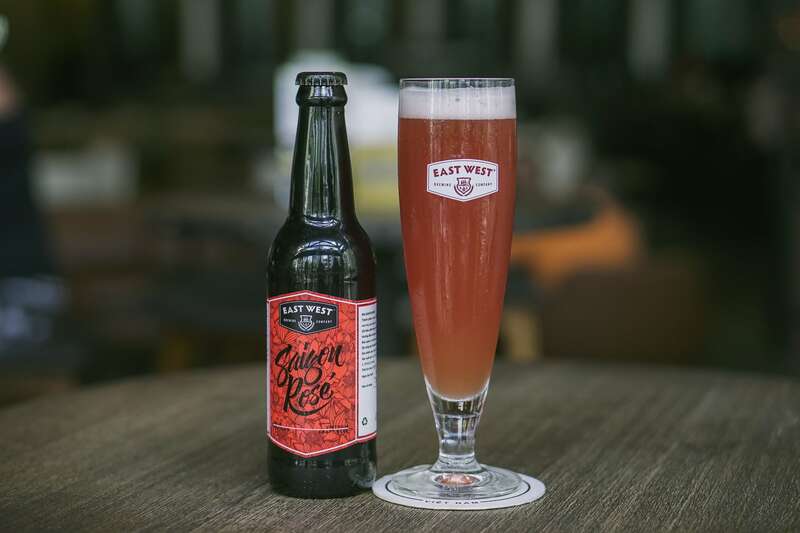 When it comes to craft beers that are easy to drink, the sweet raspberry-focused Saigon Rosé from East West Brewing Co. must be included. With only 3% ABV and 12 IBUs this all-day drinker is a light wheat ale with a hazy pink color. The soft maltiness makes way for notes of honey and citrus flavors alongside a balanced, floral aroma. 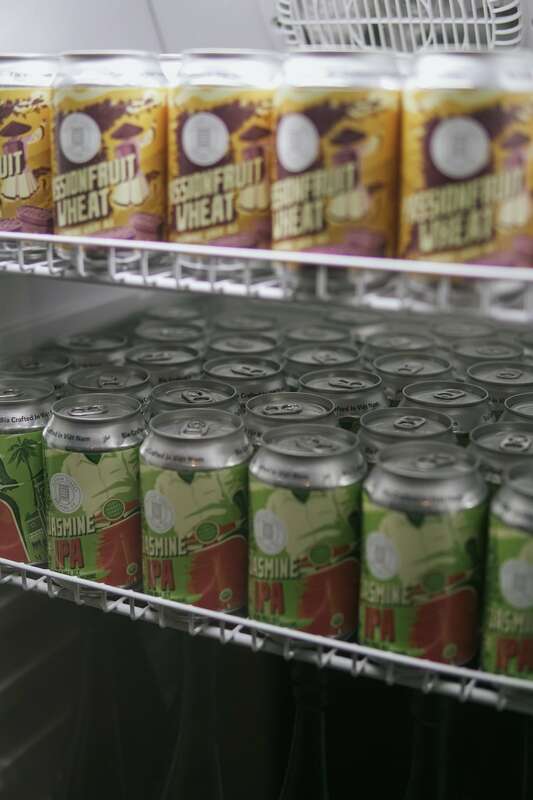 The Passion Fruit Wheat Ale from Pasteur Street Brewing Company has been awarded a total of four medals from both the Asian Beer Championship and the Australian International Beer Awards (AIBA). After a sweet second stop, our craft beer guides wanted something with a different kind of appeal for round three. Craving more fruit? Try Pasteur Street’s award-winning Passion Fruit Wheat Ale. Standing at 4% ABV and 15 IBUs this wheat ale comes out a beautiful opaque straw color. Take a sip and it’s quickly understood that this beer was custom-made for this kind of drinking session. It’s tangy fruity profile stands out on both the tongue and in the nose with passion fruit always at the forefront. If you don’t mind a fruit-forward beer and a slightly sour bite Pasteur Street Brewing Company’s Passion Fruit Wheat Ale isn’t to be missed. What started as a one beer brewery has since grown to become a powerhouse trio. It was the Tê Tê White Ale that came first, followed by the Electric IPA and the Mellow Red. 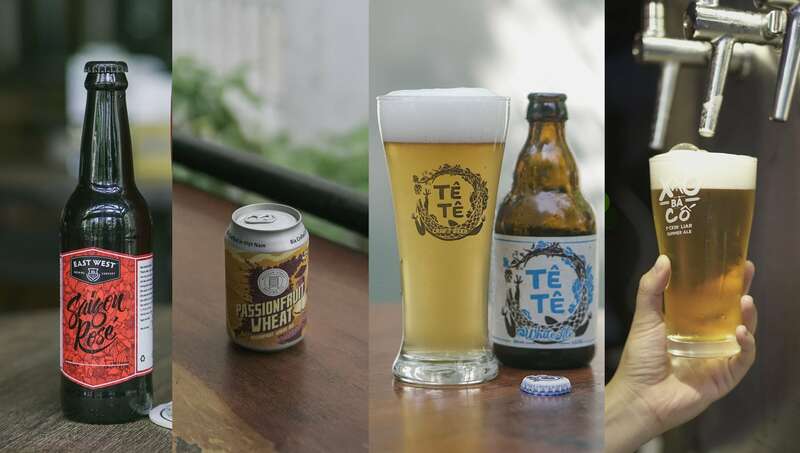 Tê Tê Beer is well-respected as a pioneer for Vietnam when it comes to climate-adjusted craft beers. As we make our last stop before lunch, the reason for ending this session here became evidently clear. 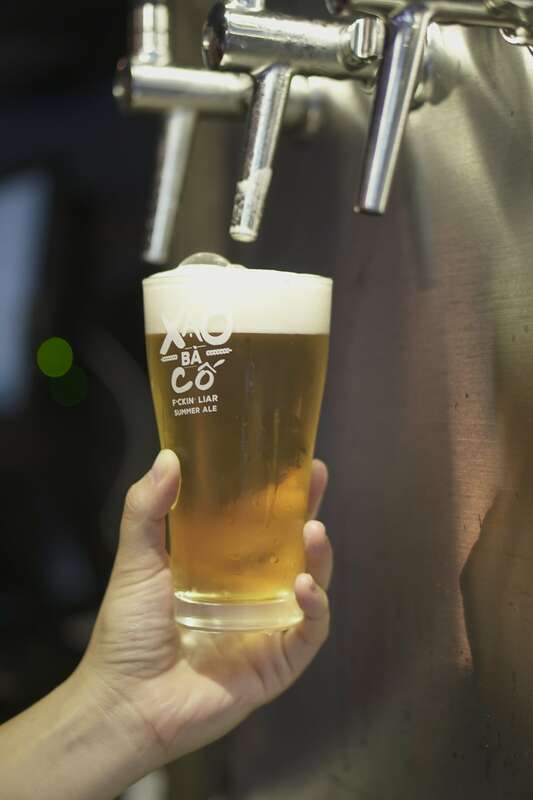 Saigon’s intense tropical weather is always taken into consideration in this brewhouse and regardless of style, creating highly-drinkable brews remains at the core of their brewing philosophy. If you are fond of day-drinking, this is all you need. 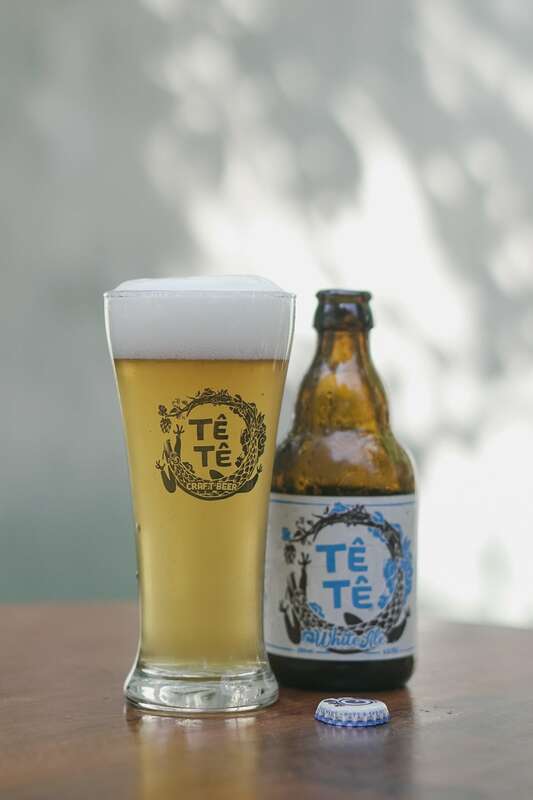 Beat the heat with Tê Tê Beer’s White Ale, purposefully crafted for Vietnam’s tropical climate. The Tê Tê White Ale is a Belgian style with beer for the masses. At 5.5% ABV and 19 IBUs this soft brew pours a light yellow hazy body with a thin white head. The aromatic formula is a pleasant fusion of coriander, orange peel, wheat, and herbs although they are largely subdued. Take a big gulp and enjoy touches of pale malt in addition to citrus notes, orange peel, and a slightly bitter but beautiful finish.